We have had our Leesa mattress for over a year now so I though that this would be a good time to update you on how we’ve found it so far. As well as that, I have been testing out the brand new Leesa pillow, so keep reading to see my thoughts on it. You can see my original Leesa mattress review here. The pillow is made from premium memory foam that provides optimum support and comfort. The outer layers of the pillow are made from micro-fibre filling that provides added comfort. Unlike traditional down filling, Leesa’s micro-fibre filling won’t clump over time so it retains its shape and structure. The Leesa pillow is made with Outlast technology developed for NASA which helps you to stay cool while you sleep. This, together with the innovative airflow system will ensure that you have the best nights sleep possible. 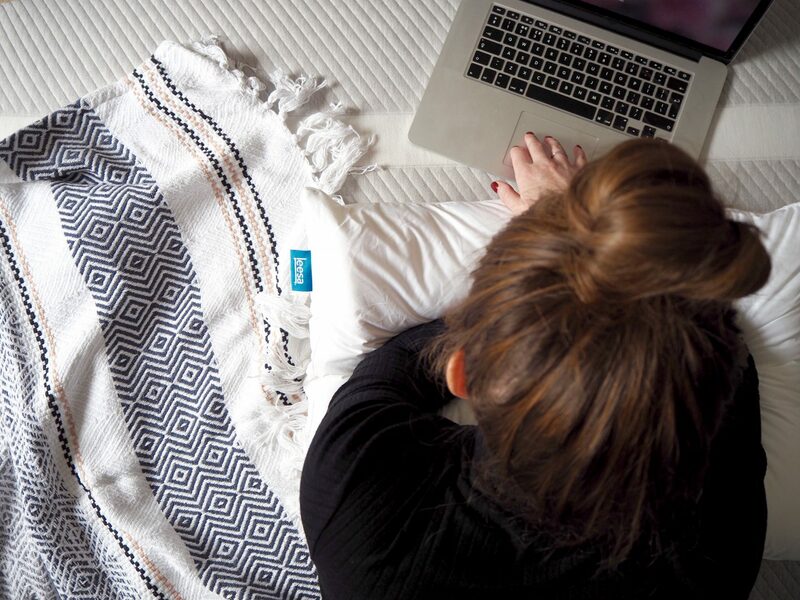 No matter what your sleeping position, the Leesa pillow is designed to suit everyone. Offering optimum support, the pillow will keep your neck and spine aligned while you sleep. So what do I think to the Leesa pillow? Well the short answer is that I love it! I’ve been using it, together with the Leesa mattress for a couple of weeks now and it is really comfortable. As I’m getting older I do notice that I sometimes wake up with a stiff neck, so a pillow that supports my neck and spine is really important to me. So far, I’ve had no troubles with my neck, which is great! It’s also retained its shape really well so far and looks just as plump as it did the day it arrived. Now, it has to be said that the Lessa pillow isn’t cheap, with a price tag of £79. But remember that this is no ordinary pillow. If it helps me to sleep better, support my neck and lasts then it’s got to be worth the money, right? I have seen nothing but good reviews about the pillow so far, which is promising but I will be sure to update you in a few months time. It’s also worth mentioning that for every 10 pillows sold, Leesa will donate one to a charity or project here in the UK. The same goes for their mattresses, one is donated for every 10 sold as part of their One-Ten Commitment. 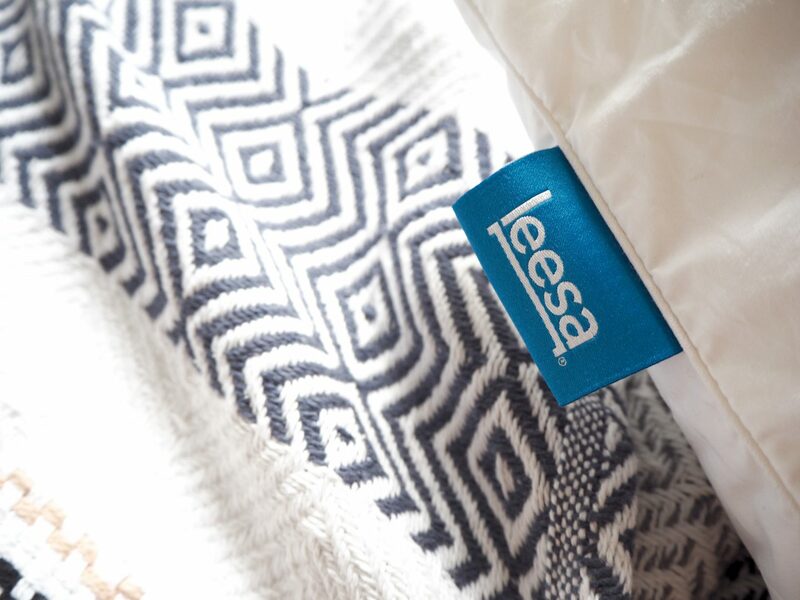 Find out more about the Leesa pillow here. 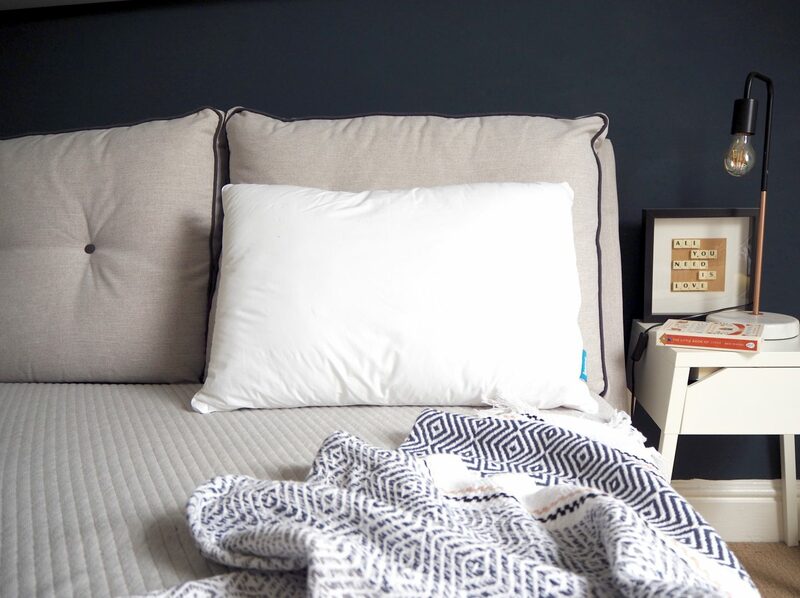 It’s been 18 months since we took delivery of our Leesa mattress and I can honestly say that it is the best item that I’ve had the pleasure of reviewing as a blogger. It is brilliant! The only problem is, when we go away I can never sleep on the hotel mattress as it just doesn’t compare to our Leesa mattress! 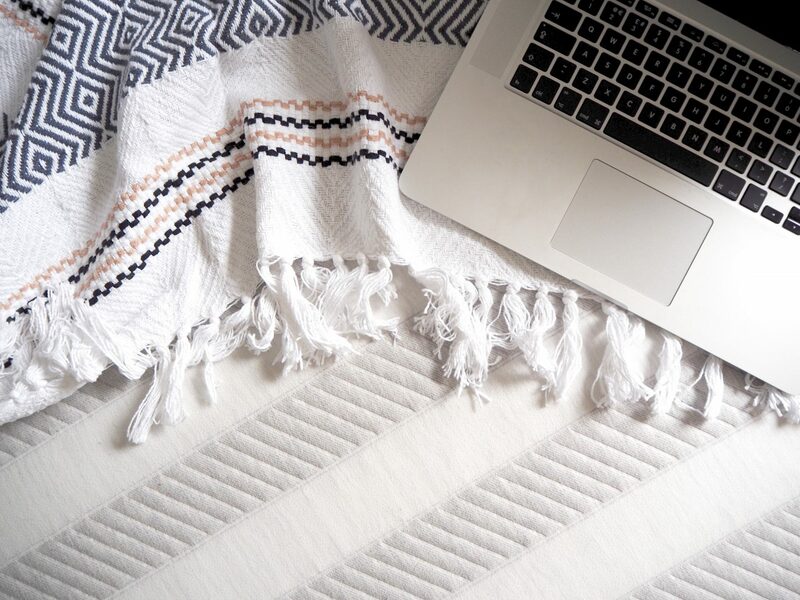 My bedroom is definitely my happy place, it’s somewhere I feel very relaxed and will often take my laptop up there to work. It’s a very comfortable space thanks to our Leesa mattress. It’s the perfect space to work, read, relax and of course sleep. Cooling Avena Foam – This 5cm top layer provides airflow and helps to keep you cool. Pressure Relieving Memory Foam – The 5cm memory foam layer delivers body contouring and pressure relief to ensure maximum comfort. Dense Core Support – This is the 15cm base layer which adds strength, durability and structure to support sleepers of all sizes, without feeling too firm. I would say that our Leesa mattress is just as good now as it was 18 months ago. It’s certainly just as comfortable and neither of us can imagine having anything other than a Leesa mattress now. I sleep well and I don’t wake up with aches and pains. Both me and my husband move around quite a lot in our sleep so the Leesa mattress is great for us as no other part of the mattress moves when we move, there’s no springs either so there’s no noise. 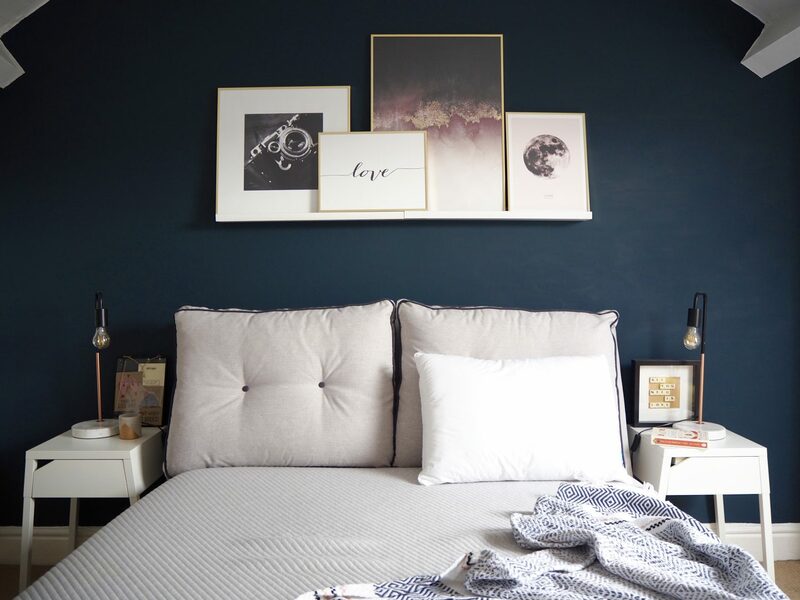 I mentioned in my original Leesa mattress review that when we were offered the mattress our previous one was only a couple of years old, we’d never had any problems with it and we weren’t sure that we really needed a new one. Now that we’ve experience the Leesa mattress is has highlighted just how uncomfortable our old mattress was without us even realising it. It really is a brilliant mattress, if you’re shopping for a new one I cannot recommend Leesa enough. Find out more about the Leesa mattress here.